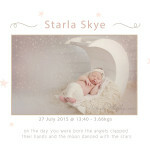 Little Illané came over to my little studio on Monday morning, at just 7 days new, she was a little honey pot. thank you so much mom and dad for trusting me with your very special little baby girl.. I KNOW she will bring you much joy.